Massimo Gava meets Stefano Baseotto, maestro distillatore, who gives tips on how to spot a good distilled product and celebrate the holidays. 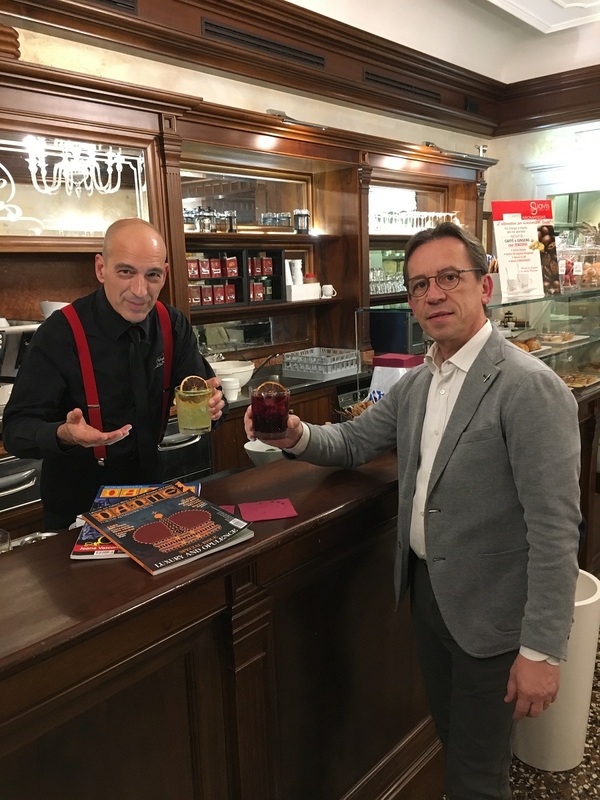 They team up with barman Paolo Foramiti at the historic Caffè Municipio in Pordenone and create two wonderful cocktails. Here is the full story. 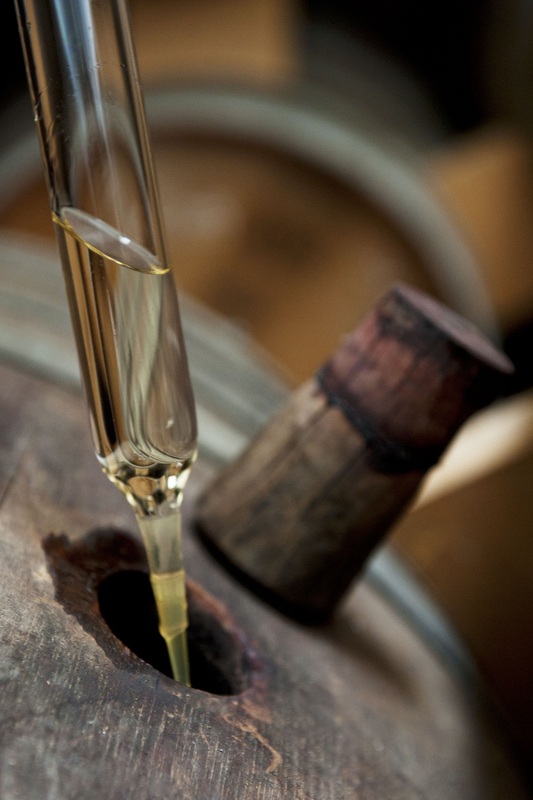 The quality of a good distilled product depends on many factors. So states Stefano Baseotto, maestro distillatore, and he knows what he is talking about: He has more than 40 years’ experience in the business. Stefano is one of the few Italians to have an impressive CV which even includes the creation of a gin, Gin Puro, that is staking a claim to be not only one of the best labels in the world but certainly one of the most exclusive to get. The difference between distilled products depends on the tiniest of particles PPM (part per million) of its components. 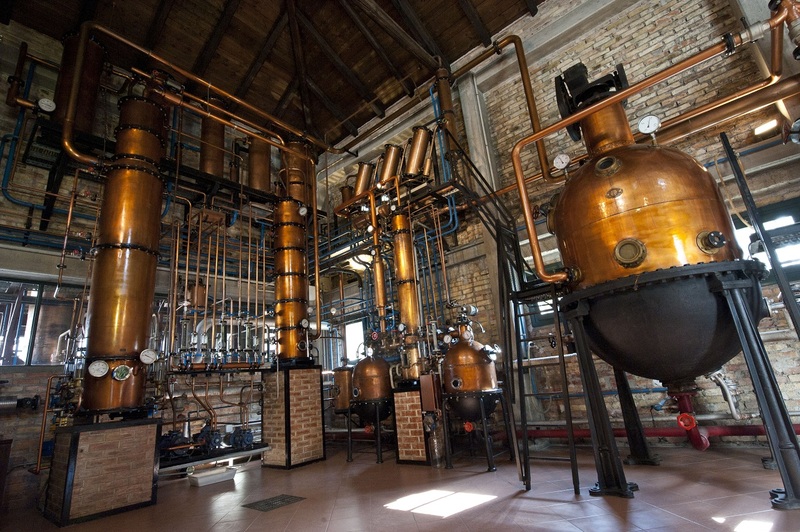 It is important to say that is not enough that the product of distillation simply comes from raw agricultural material, as minimum EU legislation requires. It is vital that these materials meet the highest standards of quality and genuinity. 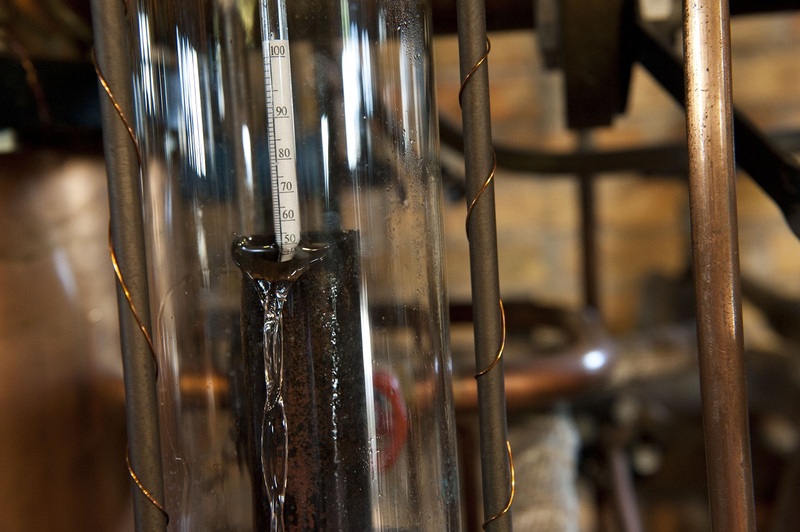 This is because distillation means a product born of natural fermentation of material before its subsequent distillation in a still. If we take into consideration that some materials are naturally prone to distill, like grapes and fruits in general, then there is a clear difference between them and those man- transformed materials that directly will not produce alcoohol. Tubers and cereals need enzymes to generates the fermentation. Looking at alchool producers, we can easily distinguish between the two paths. The first is the method that follows a traditional way and invests a great deal in the care of the whole process to obtain a distillation that represents the high quality of the material used, so that the final product is perfect for the aging process. But in the second way, the producers look for a shorter method to obtain a result that is meant to be similar to a good distillation, but it is really just an imitation. In this way the producer reduces the chances of the raw material’s faults showing. The result is to offer the consumer a product smooth and clean in appearance but that has been edulcorated and shorn of any real expression. The lesser distillers have various tricks. One is is to offer the product with a higher percentage of alcohool to quickly inhibit the taste of the olfactory papilla. Second, they suggest consumption at a lower temperature, so avoiding any analysis of the taste. Third, they add a creamy ensemble or more sugar that disguise many of the faults. An expert trying a young distilled product will recognise all its fine delicate tastes and its aromas which emerge in a long-lasting effect. If aged, it will have to be smooth, complex and with a taste that keeps developing and stays in our palate as if wrapped in a precious velvet. An attentive taster will sample drinks always in an environment without external disturbances. The best technique is to sip a small quantity (no more than a small tea spoon) and be careful not to swallow it immediately. Instead, slightly close your eyes so to focus the attention to the details developing on your palate and its longer-lasting taste and avoid the inibition of excess of alcohol digested. If a product is poorly distilled, you will realise that once the taste fades away, some fault will emerge such as a bitter sensation taking over from the initial taste. This applies to a wide range of drinks and could happen for products considered young, like vodka, tequila and white rum, but also for the so-called “aged” ones such as whiskey, cognac, brandy and rum. We need to be careful with this category because some products will show on the label the age, tradition and proceess – a good selling point because it is expensive to age the product. In reality, some of these products suggest the idea of the clean and delicate nuances that should emerge with a long and attentive aging period – but the drink is a poor imitation of it, therefore taking away the costly and correct aging times. The current laws are full of loopholes that make these misleadinng claims possible. But an attentive consumer, will not be fooled and with that first little sip, a distillation that is corectly aged will reveal complexities that will last for some minutes on the palate with all the variation of flavour that is the essence of a good product. In the end, even analysing the empty glass, it should still offering a relevant bouquet scents comunicate its prestige that will put a pleasent smile of satisfaction on your face. So now the most important bits you have been waiting for. To be truthful to the mantra of the DANTE you are reading, we have decided to create two new cocktails for you to create and enjoy in the upcoming seasons events. 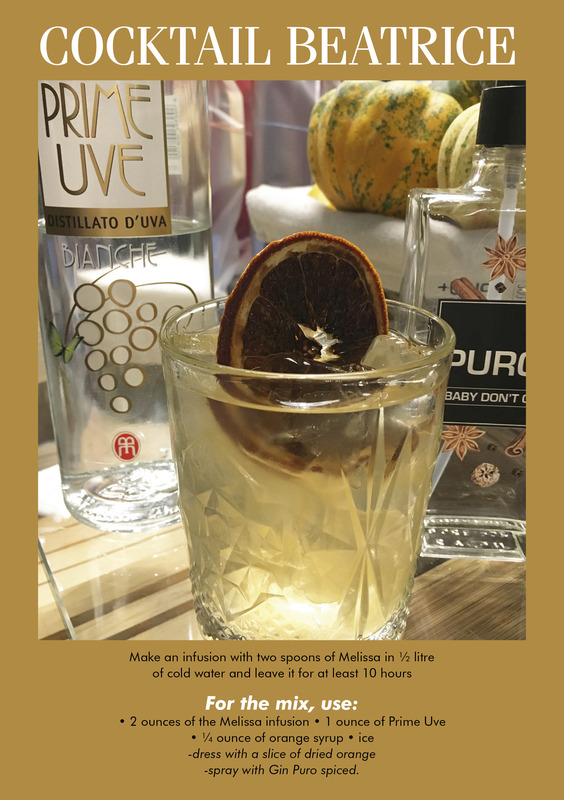 With the help of Paolo Foramiti, barman and expert cocktial maker of the historic Caffè Municipio in Pordenone, we came out with the perfect combination for two drinks that off course we call them Dante and Beatrice, what else! 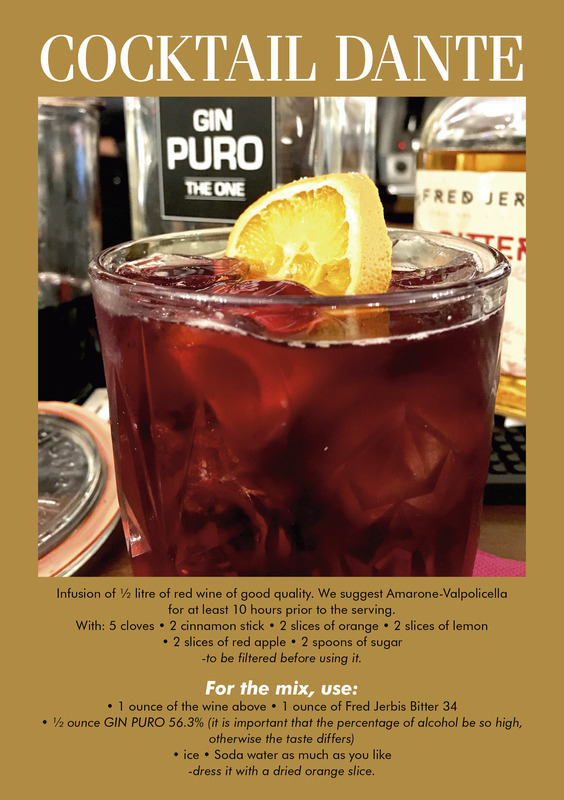 If you cannot come all the way to Pordenone in the north east of Italy to taste the cocktails at their original place of birth, we are sharing with you the original recipes so you can make them wherever in the world you are. We also have a video on how to make them published on our DANTEMAG channel on YouTube. Enjoy! Happy New Year 2018 from all of us!